If you're a sports enthusiast and family-oriented individual, you might have stumbled across the perfect vehicle for you-the 2018 Dodge Durango SRT. This SUV holds the title of most powerful, capable, and quick three-row crossover ever. It contains an engine similar to those frequently seen in Dodge's muscle cars, loading the Durango SRT with 475 horsepower. The 2018 Dodge Durango SRT is a fantastic SUV with many class-leading features and capabilities, and we think it could be the perfect vehicle for you! What powertrain can be found in the 2018 Dodge Durango SRT? Beneath the hood of the 2018 Dodge Durango SRT is a 6.4-liter HEMI V8 engine that consumes 392 cubic inches of space. This intense engine creates 475 horsepower and 470 pound-feet of torque. This engine also features Fuel Saver Technology for practical use. A new cold-air duct keeps the engine cool when being pushed to the max by chilling it with outside air. Paired with this engine is a desirable eight-speed automatic TorqueFlite transmission. 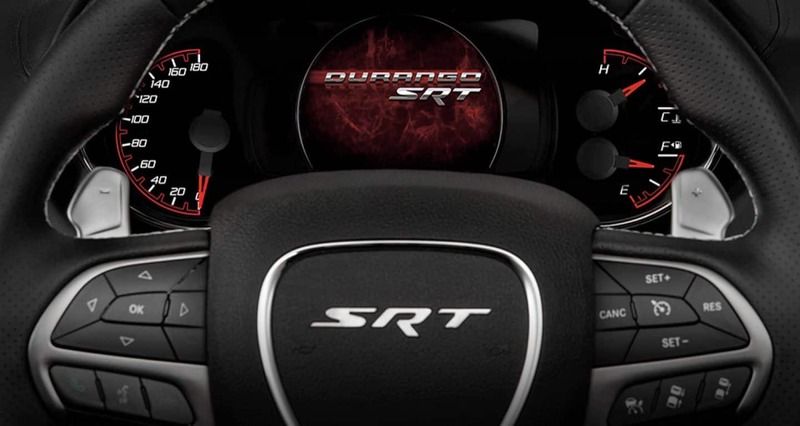 Performance-inspired paddles reside behind an SRT-illuminated flat-bottom sports steering wheel that allow the driver to manually shift the TorqueFlite transmission for the most athletic driver-controlled experience. All-wheel drive is also standard for the Durango SRT. 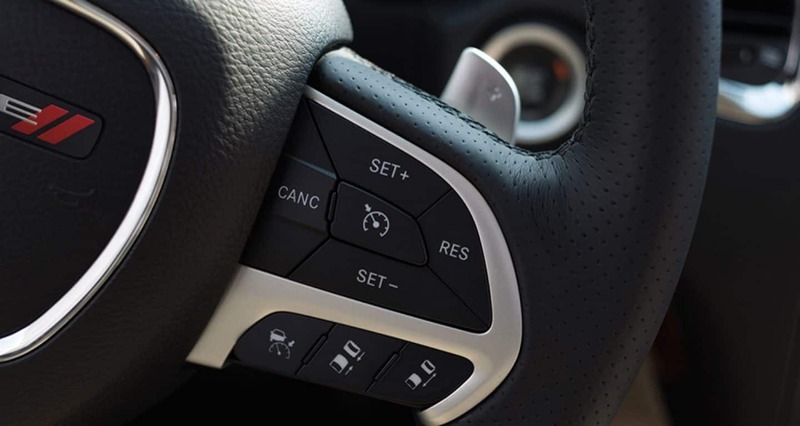 A new electronic T-shifter is standard on all Durango models for 2018 gives the driver more intuitive gear selection. There's also a new exhaust system within the 2018 Durango SRT. Additionally, the Durango SRT comes with a seven-mode drive system by SRT that manipulates the suspension, shift points, torque distribution, engine mapping, and stability control. The seven available modes are Auto, ECO, Valet, Tow, Snow, Sport, and Track. How powerful is the 2018 Dodge Durango SRT? 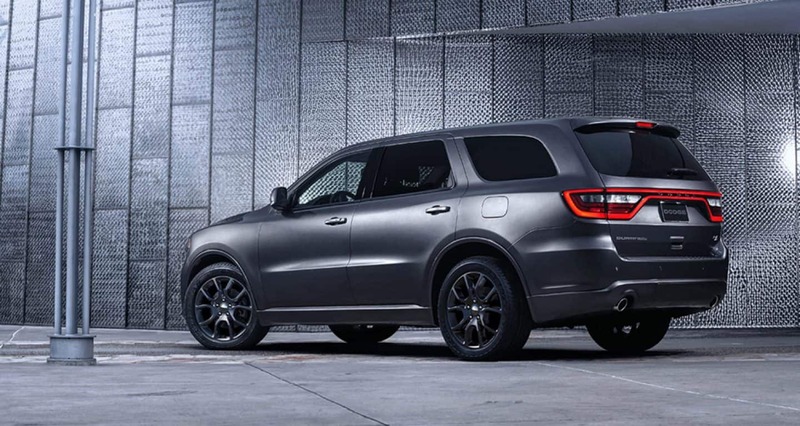 How powerful the Dodge Durango SRT is can only be described by its accomplishments. It's the most powerful three-row SUV in America, boasting 475 horsepower due to its mind-blowing 392-cubic-inch HEMI V8 engine. 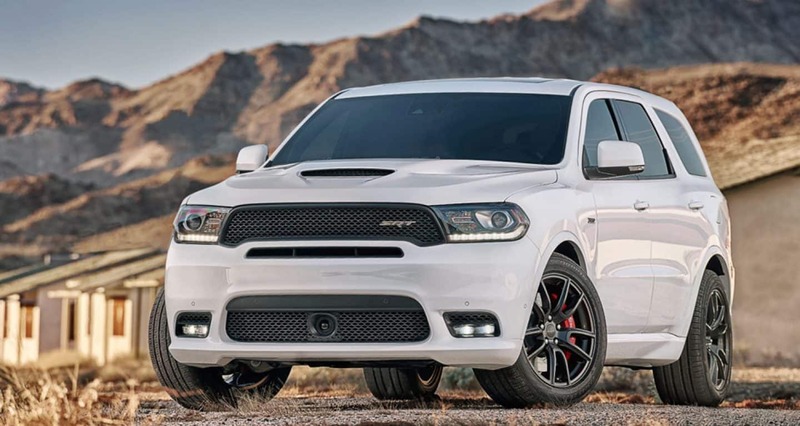 This power pushes the Durango SRT to travel a quarter mile in just 12.9 seconds and accelerate from zero to sixty in only 4.4 seconds-faster times than any other three-row SUV. These numbers actually make the Dodge Durango SRT the quickest three-row SUV. The Durango SRT can also tow more than any other SUV, rated for up to 8,700 pounds of towing. That's more than some full-size pickups! What are some features of the 2018 Dodge Durango SRT? One of the highlights of the 2018 Dodge Durango SRT is its class-exclusive Uconnect 8.4-inch media center. This intuitive touchscreen includes new SRT Performance Pages, HD radio, a five-year subscription to SiriusXM satellite radio and Travel Link and Traffic, navigation, downloadable apps, and Apple CarPlay and Android Auto smartphone integration. The Uconnect system is paired with a standard premium BeatsAudio sound system with nine speakers, subwoofer, and 506-watt amplifier. Shimmering LED foglights are standard and housed within a new front fascia and lower valence. The front seats of the 2018 Dodge Durango SRT are both heated and ventilated, while the second-row houses heated captain's chairs. Every seat in the Durango SRT is coated in Nappa leather and suede, although Demonic Red Laguna leather is also available, giving the Durango's interior a more menacing look. 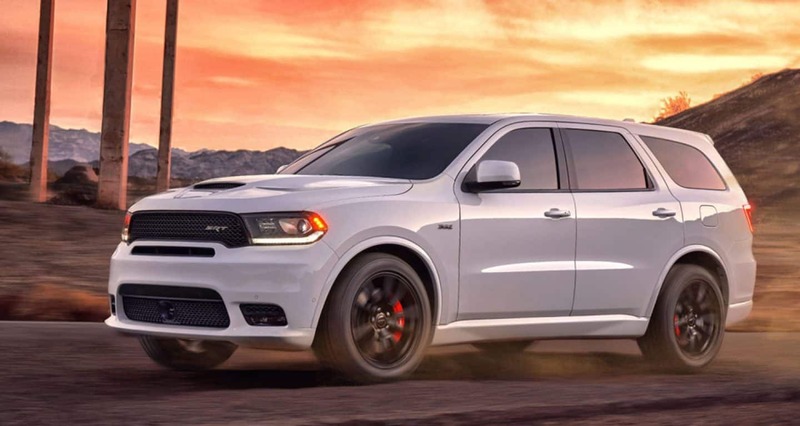 The 2018 Dodge Durango SRT is an astonishingly powerful SUV with traits that would satisfy even the most speed-hungry of individuals while offering enough seats and comfort for the whole family. Whether you're hitting the school parking lot or the track, the 2018 Dodge Durango SRT has something for you. We're excited to offer this new trend-setting vehicle at Junction Auto Sales, and we hope that upon its release you'll come to us to take the Durango SRT on a test drive!